S Vent Through Frame Slotvent Greenwood - DGS Group Plc. Simple to install and available in a wide range of performance and colour options, the S vent is the most popular choice for passive ventilation provision in both new build and refurbishment projects. Up to 4200mm² equivalent area. Upward and downward air deflection options. Widely specified within the social sector. 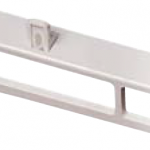 Suitable for installation with sleeves that help improve window integrity. 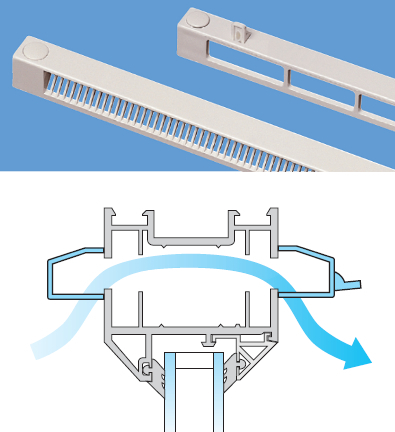 Manufactured from rigid PVCu, the S Vent is simply screw fixed to the window frame and is supplied with push fit screw covers to conceal fixing points. Available in a range of colours and can be supplied with differing internal and external colours. 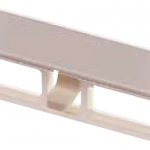 The vent can also be used in conjunction with Greenwood’s PVCu Permavent glazed-in Bar Carriers. A front mounted shutter option is available on all S Vent models and that provides easy controllable ventilation. A central bottom mounted shutter is available on 3000 and 4000 models only and reduces the possibility of damage to the vent during transit. The internal shutters can also be removed to provide permanent trickle ventilation. Click Below for Size Diagram. Available in models 3000s, 4000s and 6000s.